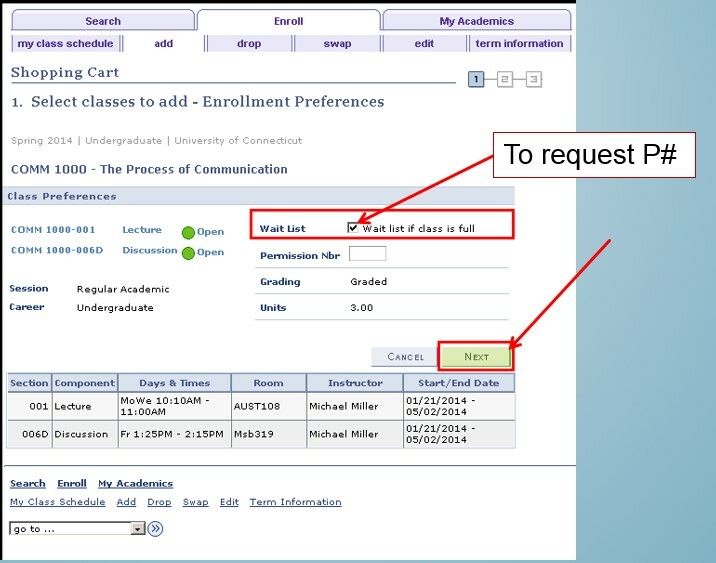 The Sociology Department uses the waitlist feature in Student Admin. If you are unable to enroll in a SOCI class because it is full or the open seats are reserved for others, you can put yourself on the Student Admin waitlist for the class as long as you have met the prerequisites. Kathy Covey handles the waitlists for SOCI 3201, 3211Q, and 3251. Waitlists for all other SOCI courses are handled by their instructors. Once everyone has had the opportunity to register, we will begin to issue permission numbers to students on the waitlist. As seats open up, we will continue to issue permission numbers to those on the waitlist until the end of the add/drop period at the beginning of the semester. Waitlist priority is not the same as position on the waitlist. Priority is based on major, minor, and class standing. For example, a senior Sociology major would be given the highest priority. You will receive an email if we can issue you a permission number. If a SOCI class does not have a waitlist in Student Admin, then it is first come first served. Click on the blue link for the class number. You will see a check box for “waitlist if full”. Check the box, even if the class has open seats. Click the green button on the bottom to get back to your shopping cart. Then enroll in the class by checking the box to the left of the class and click the green “ENROLL” button. Click the green button on the bottom to enroll and continue to click the green buttons to confirm until you see a green check mark confirmation that you have been added to the waitlist for the class. As you try to add the class to your shopping cart, one screen will have a check box that says “waitlist if full”. Check the box, even if the class is not full. Click the green buttons on the bottom until it has successfully been added to your shopping cart. Then try to enroll in the class by checking the box to the left of the class and click the green “ENROLL” button. Click the green button on the bottom to enroll and continue to do so to confirm until you see a green check mark confirmation that you have been added to the waitlist for the class.